Good communication is the key between architect and client and the base for a good work relationship on the way to realise your dream home. 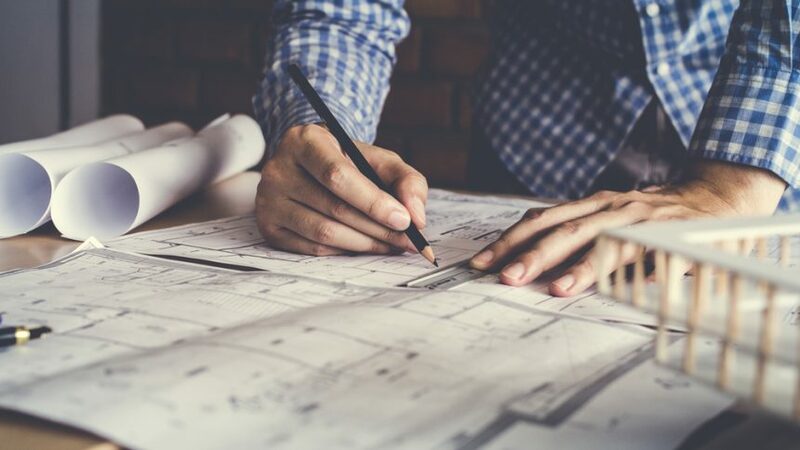 Once you have decided to build your very own dream house, there is a lot to think about and consider even if you have the whole floor plan mapped out in your mind already. What you should know before you start building your home, is that the whole process will need a massive time commitment. Maybe the early stages of designing might not be as time-consuming, but once the house is framed and construction is moving things can get a little crazy as there are so many things to decide. Hence you should try and not start building in a situation where you are already overwhelmed with work, have very young kids or other life commitments and especially not when you already have financial stress as sometimes the costs end up higher than estimated in the beginning. Furthermore, you should take in account that building a house might be hard on a marriage as stressing about finances and design decisions can put some strain on the relationship as well as the lack of quality time during the construction phase. No matter if you have previous experience in building, what you should really do is hire the right people to help you build your designer home. As you will be working closely with your home builder, it is important that you make the right decision not only in terms of experience to make sure they are used to work to strict delivery timelines, furthermore, these people need to be trusting enough to help you with the probably biggest financial commitment of your life. When you choose your home builder, it is vital that your personalities connect and that his team understands your vision of the home and will not compromise your design but always try and find a solution. Good communication is the key between architect and client and the base for a good work relationship on the way to realise your dream home. When you do your homework in researching your future home builder, make sure he works with a whole team of specialists such as 3D model designers, interior decorators, landscapers and pool designers to conceptualise your dream as good internal communication will bring best results and save you from costly building mistakes. Once you have found your home builder and are dreaming of built-in cabinets, a large sofa or a kitchen island, communicate it early in the design phase. This is important as you will have time to think about where you want to place your furnishings in order to work out how much space you really need and if your future dinner table actually fits into your dining room. The first couple of months into the design phase is the time where it might still be possible to adjust the floor plan and make some rooms a little bigger or smaller depending on their purpose and furnishing. When building a house, you will find once again that time is money. Hence try and decide early which tiles you want in the hallway, if all bathrooms should have the same fittings or the light fixtures in the lounge as not to slow the building process down. If you are more the hesitant type and need lots of time to make your mind up, one of the many good things building a house will teach you is making decisions quickly. Another thing you should know before you start building your home is that during construction things often look worse before they get better and a lot of times you will question your own design in terms of room sizes, lighting or even layout. But if you have chosen the right home builder you should not panic and lose any sleep about previous decisions as the team will make sure to find the right solutions and everything will look fine in the end. It is only important to communicate everything and don’t assume anything as this will make the work with the team a lot easier since many mistakes simply happen because of miscommunication. By working closely with the architect you will be able to enjoy the process, after all, it is more than exciting to see your vision of a family home come to life right in front of your eyes.